This site content describes the D.A.R.E. program and offers resources for parents, educators, and D.A.R.E. officers. The D.A.R.E. kids site has appropriate positive messages and activities for students. The site is very colorful and attractive. It is heavily dependent on Shockwave for its activities, so it works better on a high-speed connection. The main D.A.R.E. page has links to the kids page. A pop-up window offers links for adults. The main kids page has clearly defined links to the various activities. The main adult page links to the pages set up for parents, teachers, and officers. These pages offer a scrolling frame on the left with links to the articles and information available. This site offers a tremendous amount of information regarding the D.A.R.E. program and a safe environment where kids can play games, read positive messages, and learn about the dangers of drug use. The Dare 2 Dream section features interviews with Billy Blanks and Nadia Comaneci. The Play This section contains such games as Go Fish, Checkers, and Chess plus a Guitar Tutorial, and Algebra Quizzes. 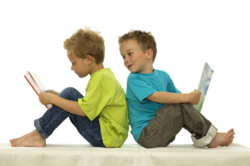 Check It Out offers a list of activities to keep kids from being bored and reading suggestions for kids. D.A.R.E. World contains photos, lists of resources, links, and facts about smoking. The adult site has sections for parents, educators, and officers as well as a Photo Gallery and a Research page. The site for educators offers articles and information regarding the D.A.R.E. curriculum, program announcements, and scholarship opportunities. The page addressing parents gives information on keeping kids drug-free, the warning signs of drug use, and the dangers of inhalants. D.A.R.E. Officers contains the archive of the D.A.R.E. Officer E-Mail Alert,information on training and conferences, and other information of value to officers. D.A.R.E. Research links to overviews of many of the studies proving that D.A.R.E. makes a difference in the lives of kids.